Hire a magician like Peter for your special event to make it memorable and unique. Bringing Comedy Magician Peter Gross to your event guarantees a show that stars your people, sharing the stage and the glory of a fun and funny show. 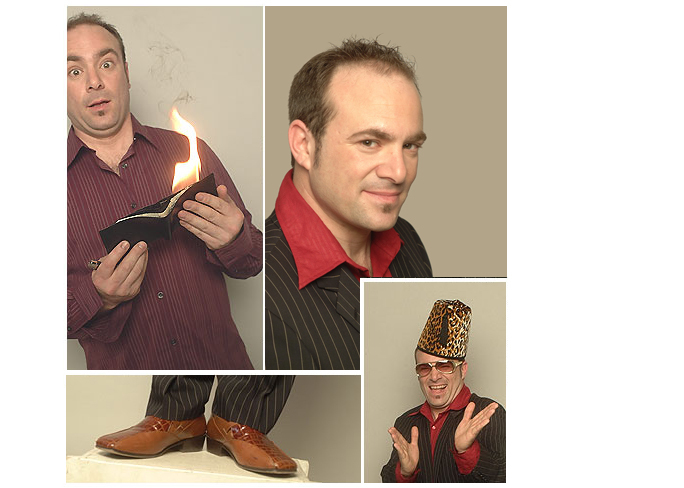 Peter Gross has over 25 years of experience performing magic and comedy around the world. He has been seen on TV, at comedy festivals, and in theaters, but he still does a majority of shows for corporate audiences and associations. Peter’s interest in magic and experience in audience management led him to study Neuro-Linguistic Programming and hypnosis. He now performs as a magician, mentalist and stage hypnotist in at least three different full evening shows. Is Peter Gross Boston’s Corporate Magician, Boston’s Comedy Hypnotist or Boston’s Mentalist? Peter Gross isn’t just crazy; he’s “crazy talented’ with three different shows to surprise and delight your group. Peter may very well be Boston’s Corporate Magician, Boston’s Comedy Hypnotist and Boston’s Mentalist. Peter’s award winning comedy and magic show has been seen in theaters, comedy clubs and on festival stages across the world. He’s been invited to the White House, performed at the Kennedy Center, Canada’s National Theater and has made numerous TV appearances. He has been invited to perform in Germany, Spain, Scotland, and Japan. He also won two silver medals at the Oranjeboom International Variety Performer’s Competition in Rotterdam, Holland. On college campuses including Harvard, Brown and Yale and for Fortune 500 companies including McDonald’s, Microsoft, Intel, Bain Financial, Ecco Footware, Prudential Bache and General Dynamics. The Charleston Comedy Festival called GET HYPNOTIZED “A guaranteed crowd pleaser… incredible comic timing,” and the Charleston City Paper called Peter “Smooth and Hilarious”. GET HYPNOTIZED is regularly featured on Carnival Cruise lines where it’s been lauded by one Cruise Director as “ the funniest hypnosis show I’ve seen in a long time. Mentalism allows Peter to combine his interest in magic with his ever-growing fascination with how the mind works, creates meaning and judges what is ‘real’. His show 99% Honest explores the areas beyond scientific explaination with stunts and ‘experiments’ in mind-reading and other forms of extraordinary human potential.